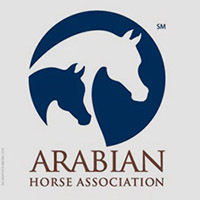 The Arabian Horse Foundation has appointed three nationally known advocates of horse relocation and re-homing to serve as advisors to the Foundation for the Horse Displacement and Re-homing gift category. 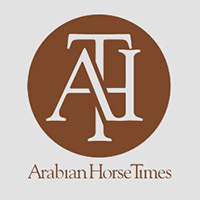 Carol Darnell of Oklahoma, Jennifer Williams, Ph.D., of Texas, and Brenda Laurel, also from Texas, all have a history in the Arabian horse community as active owners and supporters of the breed. Carol Darnell is President of the Guardian Arabian Horse Club. Darnell serves on the Board of Directors of True Innocents Equine Rescue, a 501(c) 3 based in California. Dr. Williams founded Lone Star Equine Rescue in 1998 and in 2005 co-founded Bluebonnet Equine Humane Society where she serves as President and Executive Director. Williams holds a Ph.D. in Animal Science from Texas A&M University and authored How to Start and Run a Rescue (Primedia, 2007). Laurel has a long history of horse rescue efforts and has been actively involved in numerous rescue operations including Habitat for Horses and the Humane Society of North Texas. Laurel provides a service called The Arabian Horse Re-homing Resource to horse owners with unwanted horses. There are four areas the Foundation funds: Youth Scholarships; General Education; Equine Research, particularly that affecting Arabian horses and Horse Displacement and Re-homing. Contributors may select the category their funds will support. The Foundation recently announced the appointment of four nationally known Arabian horse enthusiasts and recognized professionals to serve as the advisory panel for Equine Research. The Equine Research advisory panel consists of Dr. Ray Cerniga of California, Dr. Cory Soltau of California, Dr. Tim Fleck of Indiana and Beth Minnick of Washington. Youth Scholarships will continue to be under the guidance of Foundation board members Nancy Harvey and Jim Cada. Other board members are Frank Galovic, C.A. Butler and Lollie Ames. 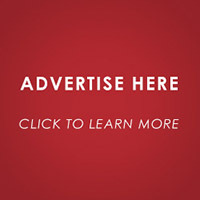 The Arabian Horse Foundation is the philanthropic arm of the Arabian Horse Association and is based in Aurora, Colorado. The Foundation is a 501(c) 3 charitable organization. Gifts are tax deductible. For more information about the Foundation or to make a contribution, go to www.arabianhorsefoundation.org.